I remember crying all the time. My major thing growing up was I couldn't fit in. 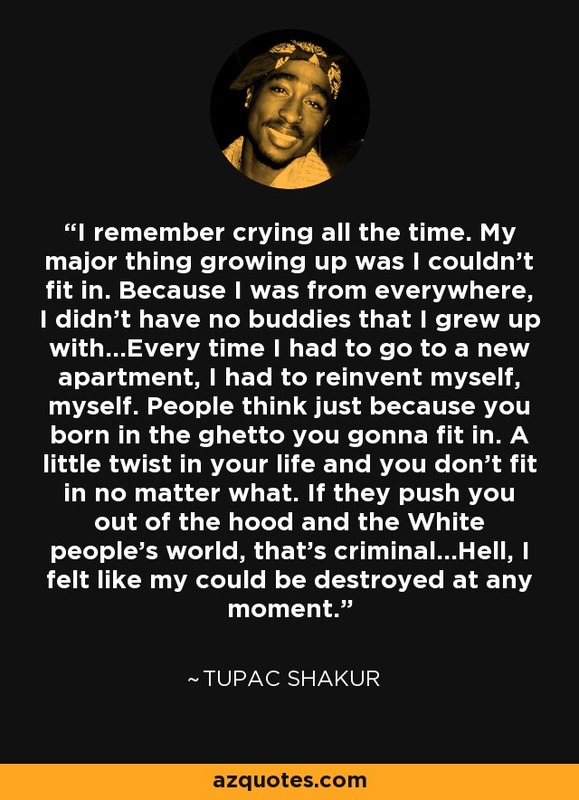 Because I was from everywhere, I didn't have no buddies that I grew up with...Every time I had to go to a new apartment, I had to reinvent myself, myself. People think just because you born in the ghetto you gonna fit in. A little twist in your life and you don't fit in no matter what. If they push you out of the hood and the White people's world, that's criminal...Hell, I felt like my could be destroyed at any moment.